Our concierge will guide you to organize excursions in the enchanting landscapes of Capri, on the Amalfi Coast, to Pompeii and surrounding areas. You may explore the treasures of nature, scenery and history of the Campania region, a place to live intensely. We will give you the right advice for travel and to rent scooters or boats for excursions by land or by sea. You can also arrange a customized fitness program at the hotel with a Personal Trainer, organize tennis lessons, be accompanied and advised by a Personal Shopper, or arrange diving and snorkeling trips or hikes. Hotel La Floridiana is in the center of Capri, and, like most of the town, is in a position high above the sea. In fact, the town of Capri is located on a hill that slopes down in terraces towards the sea. 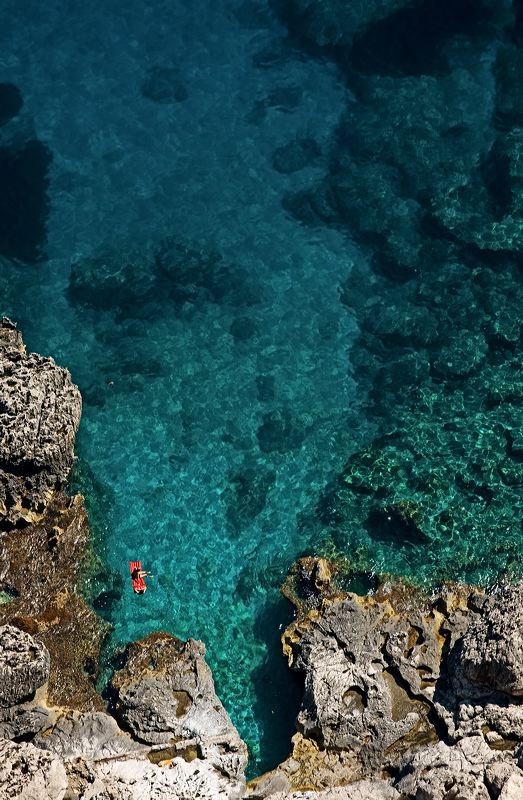 Since much of Capri’s coast is high and rocky, most of the beaches and the most beautiful coves are accessible only by sea. 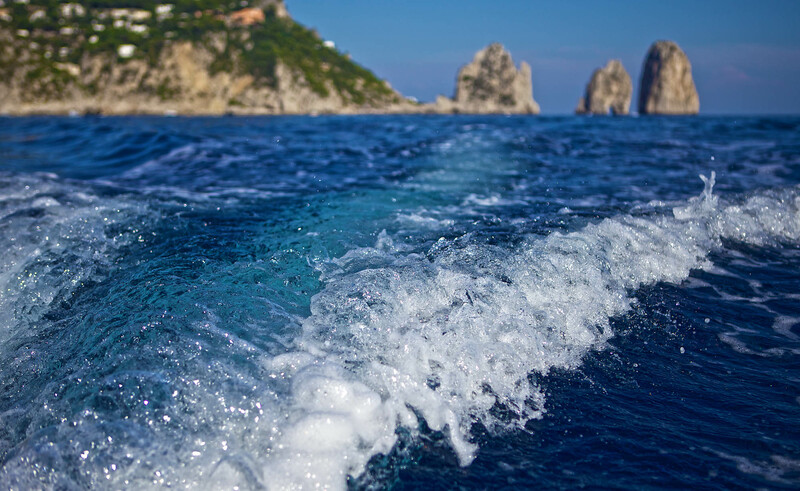 So, to fully enjoy the beauty of Capri’s sea or some romantic and completely private swimming, we suggest hiring a boat to travel along the coast. This is just a small guide to the beauties of the island, a starting point for visitors who wants to enrich their trip to the enchanting Blue Island with some extra information. For more information on everything about Capri, visit the La Conchiglia bookstore just a few steps away from us. Marina Grande is the port of the Capri Island, the crossroads of all maritime connections between Capri and other places in the Gulf of Naples. The hydrofoils and ferries dock on the piers of the commercial port, at the end of which, on the right, are the offices of the Harbor Master and those of the Local Tourism Offices, where you may ask for any kind of information. Next, again on your right, there is the ticket office and the stop for buses to Capri and Anacapri. In front of you are the taxi stand and the entrance to the funicular to the Piazzetta. In addition to the Commercial Port, there is also the Tourist Port, where large and small private boats can dock. Not far from the pier is the Marina Grande public beach along with some bathing establishments. 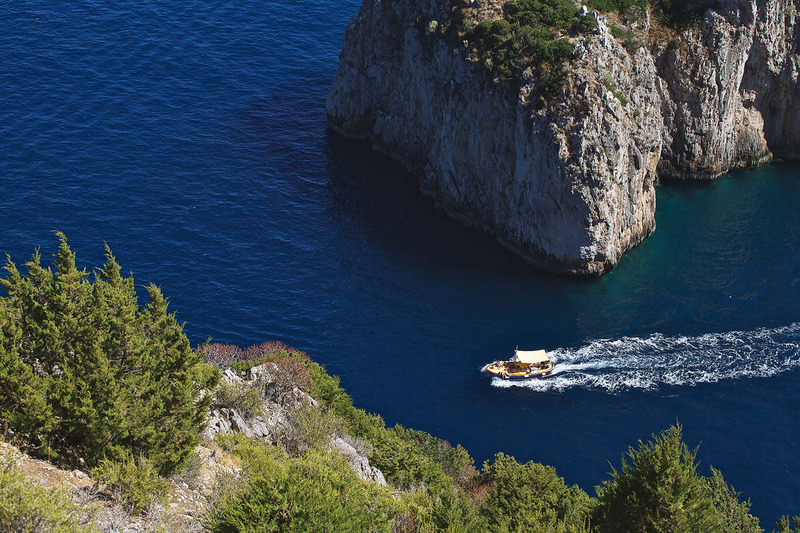 Blue Grotto is Capri’s postcard, symbolizing it throughout the world. It is accessible only to the typical small rowing boats. Its crystal clear, deep blue waters were loved by the Emperor Tiberius. Nowadays, swimming there is prohibited to preserve it for future generations. Ask us how to make a private, quiet visit there, if you have time available. If you want to visit the grotto as soon as you disembark, there are two companies that can help you. The oldest, the Compagnia dei Battellieri, is right at the end of the pier at dock number 0; the other is a newer company, Laser Capri, located on the other side, on the pier called The Banchinella. From the tables of La Piazzetta’s typical bars, since 1938, visitors have been able to breathe in the atmosphere of Capri’s dolce vita, where the slow procession of time encourages the chatter of hordes of customers sitting in front of their fragrant coffees or colorful aperitifs. 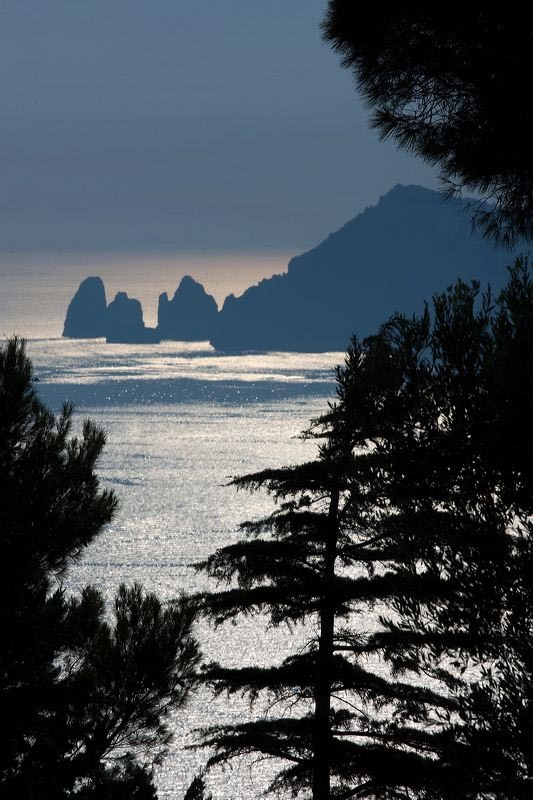 The Faraglioni, Capri’s film icons, immortalized in a thousand movies and admired since the Roman times, are the symbol of Capri in the world, the ambassadors of the blue island. Climb the stairway in front of our hotel and in five minutes you will reach the Tragara viewpoint where you can admire them. The Gardens of Augustus and Via Krupp are the ancient symbol of the love that people around the world have had for the blue island. One of these was Friedrich Alfred Krupp, the owner of the Krupp German steel mills. 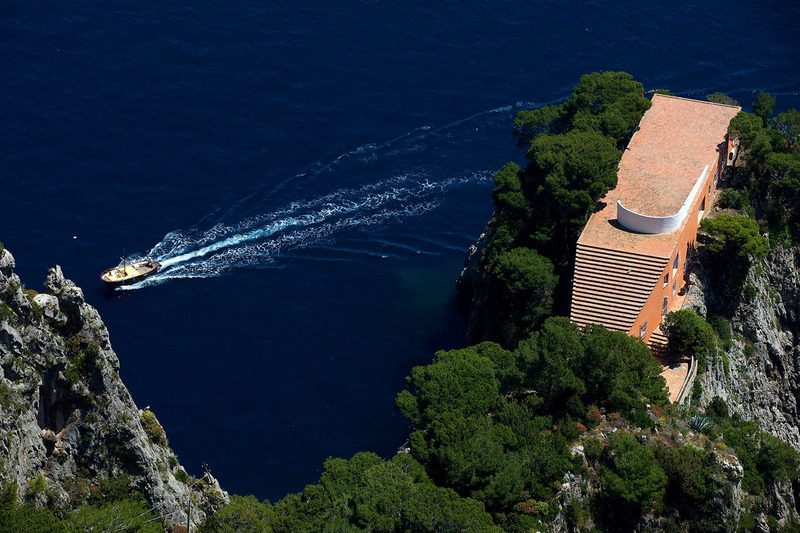 He ordered construction of a road carved from the rock; it clings to the windy mountain and connects the Marina Piccola bay, where he moored his beautiful yacht, to the Quisisana area, where he used to stay before building his splendid mansion enhanced by the Augusto Gardens. To reach the gardens, turn left after exiting the hotel, then turn right; it takes just 4 minutes. An ancient Roman port, today the Marina Piccola bay, is a short walk from the famous Piazzetta, facing the Faraglioni. This is one of the most famous seaside locations of Capri. It can be reached by bus, taxi, or on foot along Via Mulo or the scenic Via Krupp, which starts from the Augusto Gardens. The “Scoglio delle Sirene,” according to legend, was the dwelling place of the terrible sirens depicted by Homer in the Odyssey. The reef divides the Marina Piccola bay in two small beaches, Marina di Mulo and Marina di Pennaulo. 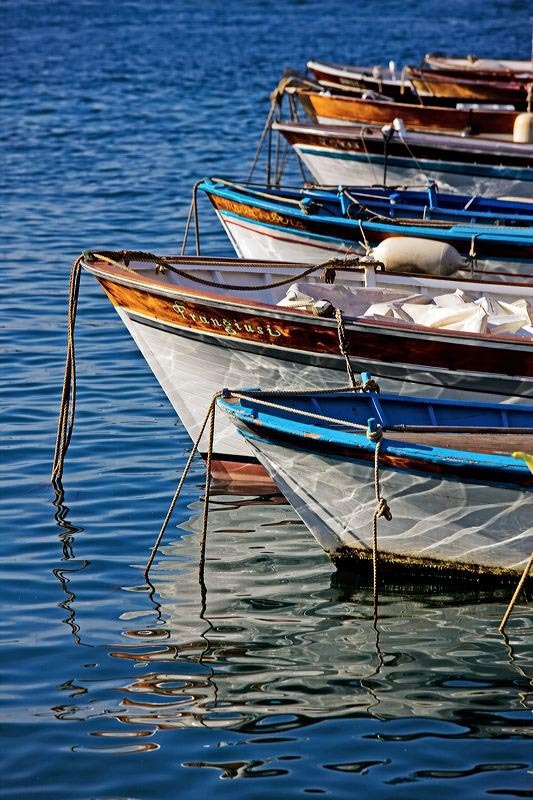 Today, it is used as a dock for the boats that link Marina Piccola with the Faraglioni, the symbol of Capri in the world, which rise from the crystal clear waters of the island. Marina Piccola is home to bathing establishments and restaurants specializing in seafood. The Certosa di San Giacomo is a fourteenth-century former convent just a few steps from the Piazzetta. 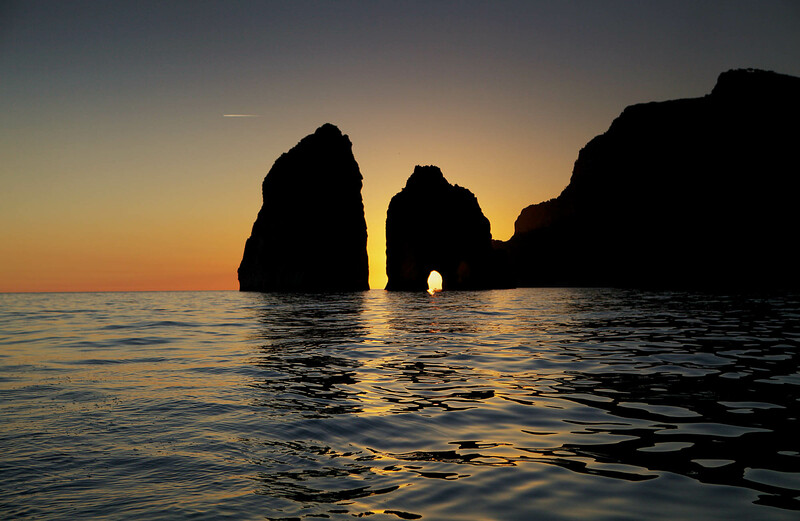 It is one of the most important historical buildings of the Capri island. Built in 1371 by order of Count Giacomo Arcucci, Grand Chamberlain of Queen Joanna I of Anjou, it later became a barracks, a hospital and, until 1898, a penitentiary beach for anarchists and the military. It was restored in 1927. Today, the rooms of Certosa di San Giacomo are used to accommodate events, concerts and outdoor performances during the summer months. To reach it, turn left after exiting the hotel, then take the first left again; it only takes three minutes. Villa Jovis is the residence built in the first century AD by the Emperor Tiberius on Capri. Looking from the north side of the villa towards the Gulf of Naples, visitors may see from Ischia up to Punta Campanella. Villa Jovis is part of the original complex of 12 imperial residences that Emperor Tiberius had built on Capri. Next to the villa is the Astarita natural park for bird watchers. Villa Lysis, or Villa Fersen, as it was called later, is a superb mansion. In 1905, the Baron Jacques d’Adelsward-Fersen, a French writer and poet, had it built as his personal residence in Capri. Constructed in neo-Gothic and neo-classical style, it is located on a promontory north of Capri overlooking the sea, close to Villa Jovis. The villa was a meeting place for intellectuals and writers, and has been described as the symbol of the high, refined, subversive and pagan Capri. Curzio Malaparte, in love with the island of Capri, built Villa Malaparte as his private residence on a spur of rock surrounded by the sea. Completed in 1936, it is considered a masterpiece of modern architecture and an example of integration between buildings and environment. Anacapri is easily accessible by a bus that leaves the Piazzetta every 15 minutes (travel time is 10 minutes). 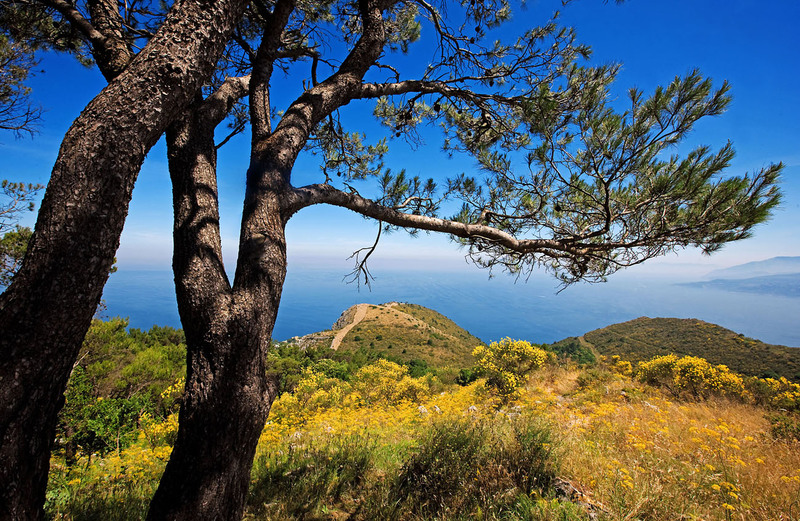 Monte Solaro, towering 589 meters above sea level, is the highest point of the blue island. The picturesque chairlift, reaches the beautiful terraces in 12 minutes. On clear days you can see the Gulfs of Naples and Salerno and the Amalfi Coast. 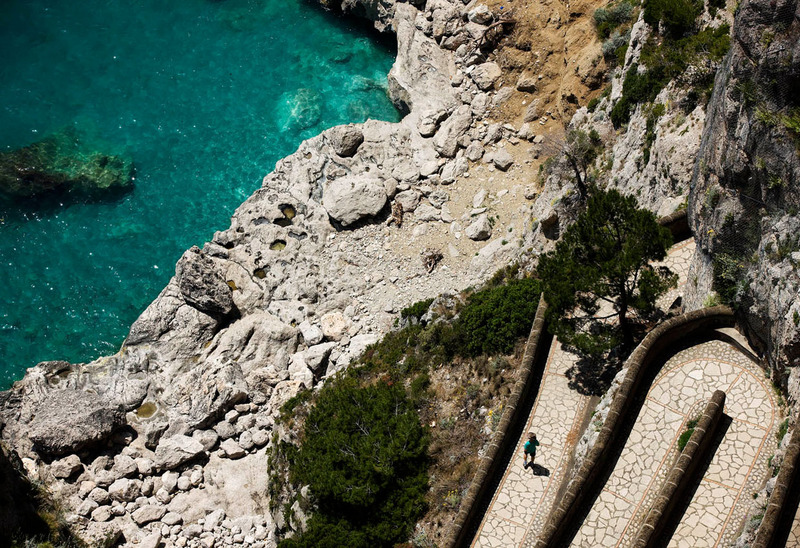 At the top, there are also a bar, a solarium and the ruins of the Fortino di Bruto, one of many military buildings dating back to the nineteenth century conflict between the French and British on the island of Capri. Punta Carena, with its Lighthouse, is one of the most popular seaside resorts of Capri. 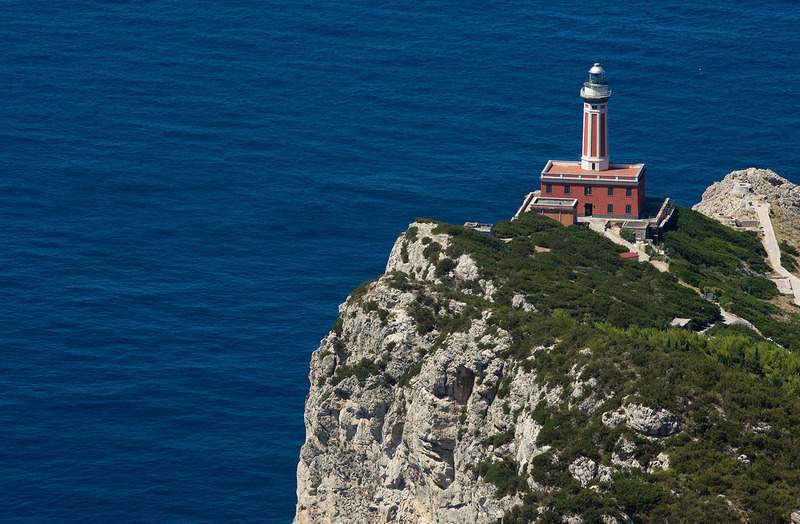 It is located in the west part of the island and is dominated by a large lighthouse, Italy’s second in lighting capacity. The rugged and rocky coastline shelters coves and the evocative Caciocavalli Caves. History also flows through these rocks, as witnessed by the guard tower and the World War II forts. The view over the Punta Carena bay is charming, and on a clear day you feel you can almost touch the island of Ischia. The sunsets here are magical. Villa San Michele was the home “open to the sun and the wind and the voices of the sea” of Axel Munthe, a Swedish doctor; it was built in one of the most scenic spots of Anacapri, where a Roman imperial villa once stood. Munthe was a great archeology enthusiast; during the construction of the villa, he included the ruins of these ancient buildings in the private garden. Villa San Michele is now a museum open to the public and houses the prestigious summer music festival, Concerti al Tramonto. The center of Anacapri is a relaxing place where you can walk quietly immersed in a calm atmosphere, among narrow streets decorated with geraniums and bougainvillea. A few steps from Piazza Vittoria is the station for the chairlift to the summit of Monte Solaro and Via Capodimonte, which leads to the belvedere overlooking the Gulf of Naples. Piazza Vittoria crosses Via Giuseppe Orlandi, a pedestrian area crossing the old town, animated by small and lively workshops. Here the landscape becomes breathtaking. The most impressive area of ​​the island lies along the ancient road that connected the center of Anacapri with this viewpoint. The road, winding through vineyards and fields cultivated by local residents, reveals an aspect of the island that is little known to mass tourism. The breathtaking landscape at the end of the road is the Belvedere Tuono. In 1937, Amedeo Maiuri, an archaeologist who was also in charge of the ruins of Villa Jovis, began the restoration work on the villa that was destroyed during the Bourbon Restoration and the British reoccupation. Some recent excavations at Damecuta, and the presence of fragments of columns made of pure Greek marble, confirm that the house was full of marble floors, stucco work, decorations and valuable works of art. 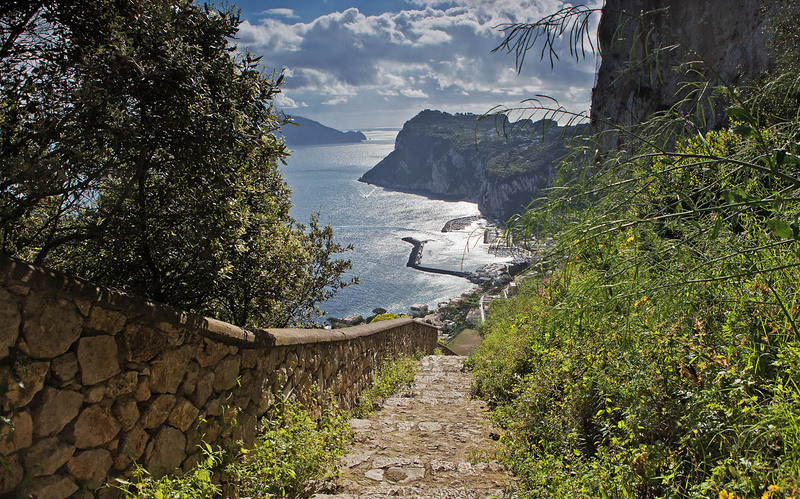 A path hidden by vegetation leads to a viewpoint dominated by an iron cross with a view between the Faraglioni of Capri and the geometric pattern of the rocky coast overlooking the sea. For more information about Capri, visit the La Conchiglia bookstore just a few steps away from us.